The CPMR’s Baltic Sea Commission (BSC) has welcomed a new report which shows that sparsely populated rural regions in northernmost Europe make an important contribution to growth and productivity in the EU. The report ‘OECD Territorial Reviews: Northern Sparsely Populated Areas’, developed by the Organisation for Economic Co-operation and Development (OECD) and covering the 14 regions in the Northern Sparsely Populated Areas (NSPA) of in Finland, Norway and Sweden, was officially published on 13 March in Brussels. The report clearly demonstrates the potential of rural regions to make an important contribution to national growth and productivity, confirming that investment in the regions is to the benefit of the regions, countries and the EU as a whole. The new report was officially presented by the NSPA network, together with the OECD, at the European Committee of the Regions, with high-level representatives in attendance from the EU and the national governments of Sweden, Finland and Norway. Erik Bergkvist, chair of Region Västerbotten and Europa Forum Northern Sweden and a member of the Executive Committee of the CPMR Baltic Sea Commission, said: “The OECD report confirms that support is needed for increased partnership at regional, NSPA, national and EU level for adapted strategies to release regional potential. We look forward to putting this important study into practice in cooperation with our partners at all levels”. 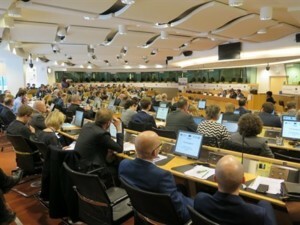 Markku Markula, President of the European Committee of the Regions, said: “This extensive Territorial Review provides evidence for the development of a place-based strategy, which can help realise the growth opportunities in the region. Cross-border collaboration between NSPA and other EU regions and cities will help build up the needed human capital, skills, innovation and infrastructure”, stated Markku Markula, President of the European Committee of the Regions, Brussels. The NSPA are becoming increasingly important to the geopolitical and economic interests, as a part of the European Arctic and the European Union and EEA. These regions in northern Europe are linked by a set of common characteristics, which are absent in other European regions, and are recognised in key national and EU policy frameworks. EU funding targeted towards these regions has promoted the development and structural adjustment of regions with extremely low population densities. The new study shows how the NSPA together can create a common critical mass to truly strengthen the development opportunities in the European frontline, both geographically as a part of the European Arctic, and in creating development. It sets policy recommendations at cross-border, national and regional scale to enhance prosperity and wellbeing across the NSPA. 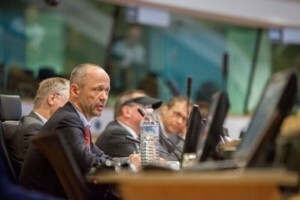 Normunds Popens, deputy Director-General at DG Regio, European Commission, put in his intervention that it is important for future EU cohesion policy to demonstrate the successful cooperation that the cohesion policy has enabled, pointing out the NSPA as a successful example of this. Satu Vehreävesa, Chairwoman of the NSPA, highlighted that the OECD study clearly shows that NSPA region is not only a target for support, but also bring a significant added value for the European economic growth and development. The study also links to the ‘OECD Regional Outlook’, presented in 2016, on regional development in less densely populated areas, addressing the need of adapted strategies for different rural areas and that the less urban areas stand for an essential part of the growth in all of the OECD. Read the report ‘OECD Territorial Reviews: Northern Sparsely Populated Areas’.